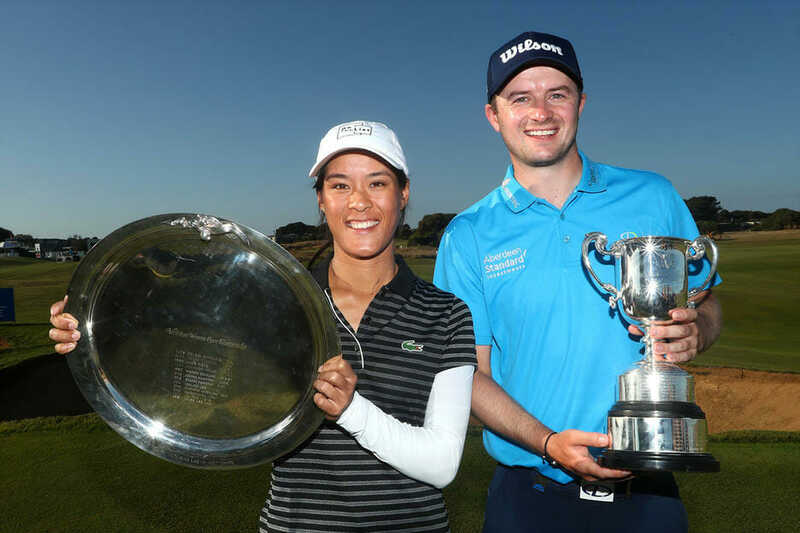 A title challenge may have failed to materialise on the final day but there were still plenty of positives to take for Ireland’s travelling trio at the close of the ISPS Handa Vic Open in Australia. It was Northern Ireland’s Michael Hoey who made the biggest move on the final day, the five-time European Tour winner signing off with a three-under 69 at 13th Beach Club. With everyone playing the Beach course this morning, Hoey closed with four birdies to move 18 places up the leaderboard into a tie for 17th on 10-under par. That was the same score as Paul Dunne who had hoped to post a number in the clubhouse to get the leaders thinking upon their run-in. In the end it was a subdued finish for the Greystone star, with three bogeys on the round and just two birdies seeing him home in a one-over 73. Still, it’s four rounds in the bank for just the second time this season for Dunne and alongside Hoey, he collects a helpful cheque worth €12,169 for the finish. Meanwhile Gavin Moynihan banked his first four-round haul of 2019 after an extremely solid week in Victoria. The Dubliner closed with an even par effort to claim a share of 27th spot on seven-under par and a cheque worth €9,188 to go with it. Earlier in the week, Portmarnock amateur, Conor Purcell had missed the 36-hole cut at four-over par. At the top, David Law produced an incredible finish to overhaul long-time leader Wade Ormsby and win his first European Tour title. The Scotsman was three shots back as he stood on the 16th tee at 13th Beach Golf Club but he made a birdie and then produced a stunning second to eight feet on the par-five last to set up an eagle. That put him in a share of the lead with Ormsby at 18 under and when the home favourite made a double-bogey on the 17th, he needed an eagle of his own up the last for a play-off. The 38-year old gave himself a putt from the fringe for a three but could only make a birdie and Challenge Tour graduate Law had a one-shot victory in just his 18th European Tour appearance. Brad Kennedy finished at 17 under alongside countryman Ormsby, one shot clear of South Africa’s Justin Harding. 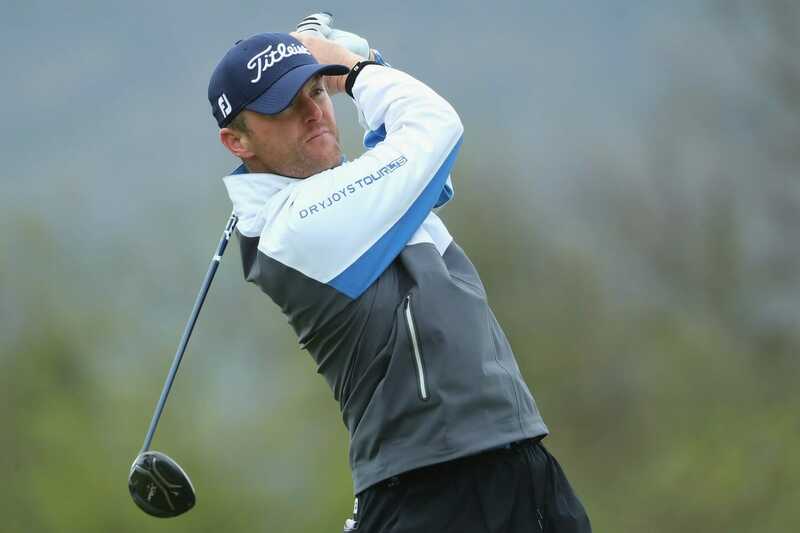 Australian Jason Scrivener made it four top010s from five starts in the 2019 season as he finished at 15 under alongside countryman David Bransdon and Scot David Drysdale, with Belgian Nicolas Colsaerts and Frenchman Clément Sordet a further shot back. Law and partner Natasha suffered tragedy off the course in 2017 when son Freddie was stillborn, putting the former Scottish Boys and Scottish Amateur champion’s on-course problems at the time in perspective. He was on the brink of taking on other work over the winter before winning last season’s SSE Scottish Hydro Challenge hosted by Macdonald Hotels & Resorts and finishing 14th on the Challenge Tour. “It’s massive,” he said. “It’s not something I expected. For me just being out here playing on the European Tour was enough. Ormsby made a birdie from ten feet at the first and almost holed his third at the second for a fast start before he got up and down from the sand for a gain on the fifth. That had him at 18 under but he would then make 11 pars in a row as Law and Kennedy set about chasing him down. Kennedy took advantage of the par-five second, put his tee-shot to six feet on the third, holed a 12-footer on the fourth and then made the most of the par-five fifth but he was still two behind. The 44-year old put his tee-shot on the par-three seventh to three feet for another birdie and despite finding rough off the tee on the ninth, he hit a wonderful second to six feet to turn in 30 and share the lead. Law had made his first birdie of the day on the fourth from four feet but gave the shot straight back on the next. He birdied the seventh and eighth before calling a penalty on himself after accidentally making his ball move on the ninth but he responded with birdies on the tenth and 11th. Kennedy three-putted the 12th for a bogey but holed a hybrid from off the 16th green to get back into the lead before coming up short of the 17th and dropping a shot. Law then produced his big finish before Ormsby sent his tee-shot left off the 17th tee and failed to find the putting surface with his second. Harding birdied the second, third, ninth and 11th before bogeying in the 12th and 13th but he bounced back with gains on the 14th and last for a third top ten of the season. Drysdale and Scrivener both signed for rounds of 67, with Callum Shinkwin and Nick Flanagan rounding out the top ten at 13 under. In the women’s event, which was also played over the Beach course for equal prize money, Celine Boutier carded a 72 to claim a two-shot victory. The Frenchwoman finished eight under to hold off local favourites Sarah Kemp and Su Oh, and England’s Charlotte Thomas.